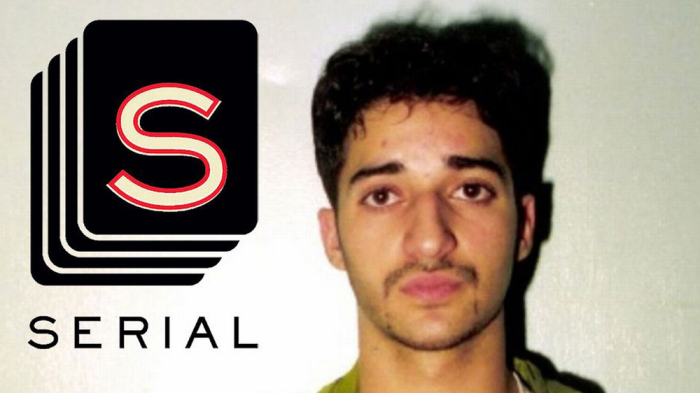 As you know, on June 30, 2016, the post conviction court vacated Adnan Syed’s convictions and granted him a new trial. The post conviction court found that Syed’s trial counsel’s failure to cross examine the State’s expert on the unreliability of incoming call cell phone data was deficient and that that error created a substantial possibility that the result of the trial would have been different. In other words, the post conviction court found that, but for this mistake,there is a substantial possibility that Syed would not have been convicted. With regard to his other claim, that trial counsel was ineffective for failing to investigate his alibi witness, Asia McClain, the post conviction court found that trial counsel erred in failing to investigate, but that mistake did not likely alter the outcome of the trial. You can find a more detailed discussion of the post conviction court’s opinion here. An explanation of the pleadings leading up to these briefs can be found here. Should the post conviction court have considered the cell phone evidence issue at all? If the cell phone issue was properly before the court, did the post conviction court decide the issue correctly? Did the post conviction court err in denying relief on the Asia McClaine alibi investigation issue? Did the post conviction court err in denying relief on the cumulative claim? There is A LOT of interesting stuff to unpack in these briefs. One of the more interesting issues to me is whether Syed was precluded from raising the cell phone issue because he did not raise it in the initial post conviction proceeding. I think that will be the critical factor on this issue and it boils down to whether the cell phone issue is an amendment to the initial post conviction, which was not finally litigated or whether the reopen was a separate proceeding barring post conviction counsel from raising an issue he could have raised previously. This post is going to focus on issue 2 and the State’s misplaced reliance on Maryland v. Kulbicki, 136 S. Ct. 2 (2015). The State relies on Kulbicki to support its contention that the post conviction court erred in finding trial counsel deficient for failing to cross examine the State’s expert with the disclaimer about the unreliability of incoming calls for location. The State maintains that the post conviction court, like the court in Kulbicki, requires too much of post conviction counsel. Kulbicki is a fascinating case. In 1995, James Kulbicki, a former Baltimore Police Officer, was convicted of murdering his mistress. During his trial, a renowned state firearms expert, Joseph Kopera, testified for the State that the bullet that killed the victim was consistent with the size of bullets fired by Kulbicki’s revolver. An FBI expert, Agent Peele, testified regarding Comparative Lead Bullet Analysis (CBLA). That expert testified that content of the bullet that killed the victim was consistent with bullets belonging to Kulbicki. The premise of the now-discredited CBLA is that a bullet removed from a victim and bullets found in possession of a suspect, say for example, bullets found in the suspect’s car or home, could be elementally compared such that an expert could conclude that these two bullets came from the same box of cartridges and therefore connected with a single suspect. The FBI began this practice in the 1980’s. It was not until 2005, prompted by an investigation conducted by the National Research Council, that the FBI ceased conducting CBLA. The next year, 2006, the Maryland Court of Appeals issued a decision in Clemons v. State, 392 Md. 339 (2006), in which it found that CBLA was not generally accepted within the scientific community as valid and reliable. During the course of Kulbicki’s post conviction petition, an assistant public defender, Suzanne Drouet, made contact with the State’s firearms expert, Joseph Kopera. In the course of investigating post conviction issues, Ms. Drouet began looking into Kopera’s credentials and background. Furnished with a copy of his college transcripts that appeared suspicious to her and after making some calls to the schools he allegedly attended, Ms. Drouet made a follow up appointment with Mr. Kopera. But that meeting would never happen because Kopera killed himself. Shortly thereafter, it came to light that Joseph Kopera, who had testified as a firearms expert in every county in Maryland and in federal court, had falsified his credentials. Despite the fact that his field of expertise did not require a degree, Kopera lied over and over again and testified that he had received degrees and or certificates from institutions he never attended. So what does any of this have to do with Adnan Syed? Ultimately, the Court of Appeals held that Kulbicki’s trial counsel was ineffective for failing to challenge the CBLA evidence. The State’s expert (FBI Agent Peele not Kopera) had himself authored an article that called into question the validity of CBLA. The Supreme Court reversed and held that trial counsel was not required to challenge a widely-accepted forensic science that was only later discredited through subsequent scientific developments. The State argues that finding Gutierrez ineffective for failing to challenge the incoming cell phone location evidence with the information contained in the fax cover sheet is tantamount to requiring counsel to “pioneer a novel criticism.” However the State’s analogy to Kulbicki is strained at best. Kulbicki was convicted in 1995. The FBI conducted CBLA until 2005. The practice, though later debunked, was widely accepted in 1995. The import of the Supreme Court’s decision is that we don’t require lawyers to have crystal balls, predicting the later evolution of science or law. A defense attorney in 1995 was not constitutionally deficient for failing to challenge what was, at the time, a generally accepted forensic science. The AT&T disclaimer regarding the unreliability of incoming calls for location is not the product of the evolution of cell phone science or a novel gloss on a formerly uncontroversial forensic science. It is a disclaimer provided by the cell phone company at the very time in question. The State also argues that the disagreement of the State’s expert and Syed’s expert means that there was no consensus among experts regarding the relevant science. There are a number of problems with the State’s reasoning here. When discussing the state of science at the time of the trial- we’re talking about what was generally accepted at the time of the trial, not, whether a particular State and defense expert agree during a post conviction hearing. The State ignores the post conviction court’s finding that the State’s expert testimony was not credible on the meaning of “subscriber activity report” and “location.” A finding of credibility is a factual finding that will not be disturbed unless clearly erroneous. The post conviction court’s conclusion does not require trial counsel to be prescient about the evolution of cell phone location science (as in Kulbicki). The court’s reasoning requires trial counsel to have utilized a potentially significant flaw in the State’s evidence that was contained in documents in trial counsel’s possession, consistent with trial counsel’s apparent strategy to attack the significance and reliability of the cell phone evidence.